I have participated in multiple media interviews including TV, Radio, and Television. Recent work includes addressing SARS in Kern County and a Radio information program on Influenza with a question and answer format. 2008: KBAK, Channel 29, “Health Alert with Lisa”, Lisa Krch, Heat Stroke vs. Heat Exhaustion, Insect Bites, and Sunburn. 1/99: KBAK, Channel 29. Media segment on Erectile Dysfunction-Treatment Options, Melanotan II, and Viagra. Dr. Goldis is a Board Certified, Internal Medicine physician who has over 20 years of administrative and managed care experience. His expertise ranges from outpatient program development, hospital operations and pay for performance, to quality and utilization management, risk adjustment coding, pharmacy operations, resident education, and electronic health record implementation. 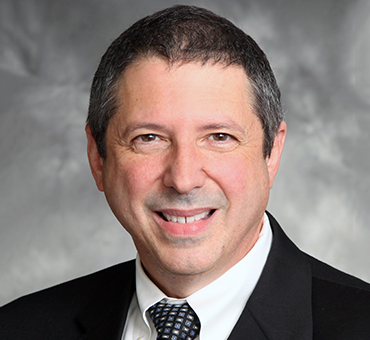 Dr. Goldis has held administrative positions as a Chief of Medicine, Associate Medical Director, Medical Director of Quality, ACO, and Risk Adjustment, and currently serves as a Chief Medical Officer and ACGME Designated Institutional Officer. As a Vice President of Meridian Health Care Partners, Dr. Goldis fully leverages his clinical and administrative experience to serve our clients. Dr. Goldis received his Undergraduate Degree from Hobart College in 1980, Medical Degree from Mount Sinai School of Medicine in 1984, and completed his Internal Medicine Residency at Cedars-Sinai in 1987. He completed his Masters Degree in Medical Management at the University of Southern California in 2015.